Adobe InDesign is considered to be one of the most amazing desktop publishing programs to this date. With the last year’s release of InDesign CS6 designers are now given a faster, efficient and better tool to their advantage in creating amazing posters, brochures even book and magazine layouts . While Adobe InDesign may not have the bells and whistles of Adobe Photoshop and Illustrator it basically makes up with its publishing and print capabilities. We have covered some of InDesign’s capabilities in the How To Make A Simple Music Festival Poster tutorial before and that is why for today we are listing down the best tutorials we found around the internet. Here are some of the best tutorials to help you guys in further understanding Adobe InDesign and it’s processes adding another arsenal in your creative toolbox. Terry White demonstrates 10 things that beginners should know and how to do it in InDesign CS6. Now that you guys have a fair understanding about Adobe InDesign and what it can do let us now get down to business. Get to know the various tools in Adobe InDesign with Kelly McCathran. Customizing InDesign’s preferences not only helps you to suit your need but it also helps in streamlining the work process. While Photoshop and Illustrator are known for their image and graphic making capabilities, InDesign takes text formatting to a whole different level. Everything in InDesign is in a frame, let it be a text or an image learning how to master frames is a must. Kelly McCarthran show us the ropes of the basic know how in working with graphics and also teaching us how to work with different image formats. Multiple pages within a document is one of InDesign’s arsenal. Neshantheny Kumana teaches us how to manipulate, create folds and adding a spine using a fake magazine layout. Hasten your workflow by mastering the alignment tool with Jeff Witchel. 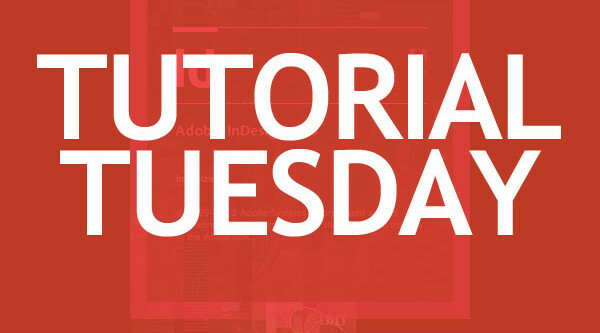 Joe Luxton shows us how to work on and manipulate clipping paths without breaking a sweat. Liquid Layouts is one of InDesign CS6’s newest feature. This tutorial shows us a brief tour of the said new feature. Jo Guilliver showcase us how to use glyphs in making an amazing typographic poster. Using a grid system in your layout does not only make your design aesthetically pleasing but it also helps speeding up the work process. We hope that you guys enjoy this humble list of tutorials that we have for you guys and be sure to drop some comments below if you have anything in mind and would like to share it to us.